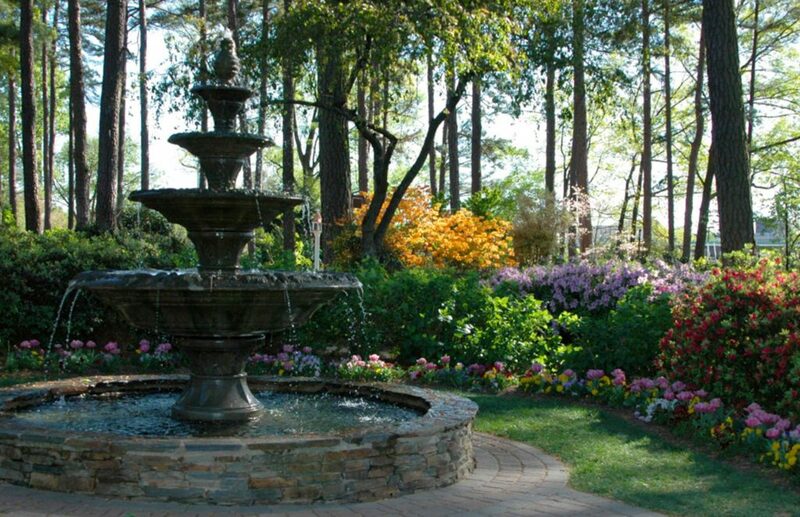 With a full range of flowering and non-flowering plants, the WRAL Azalea Gardens is a stunning space for outdoor weddings and offers free reservations for bridal portrait sessions. As greenspace in the Triangle becomes harder to find, the WRAL Azalea Gardens serve as a sanctuary from the clogged city streets, high rise buildings, and the general hustle and bustle of today’s metro living. 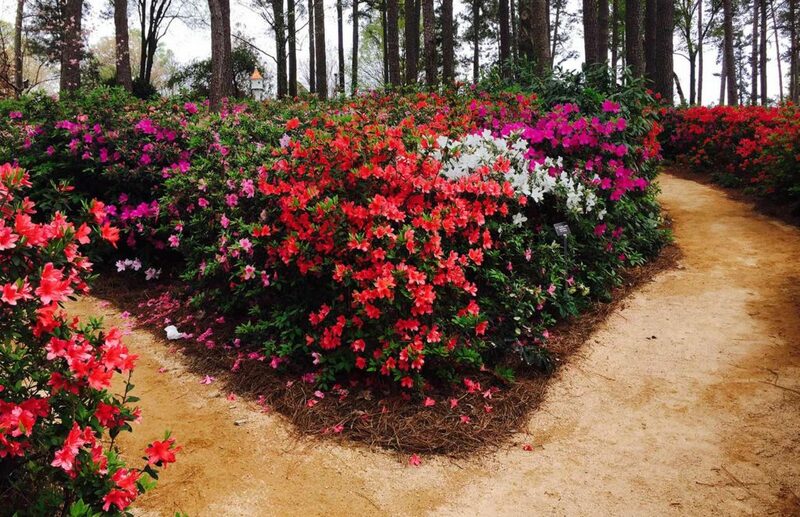 Q: Can I schedule a wedding service in the WRAL Azalea Gardens? A: Yes, for more information please go to the wedding page. Q: Is there a cost for touring the garden? 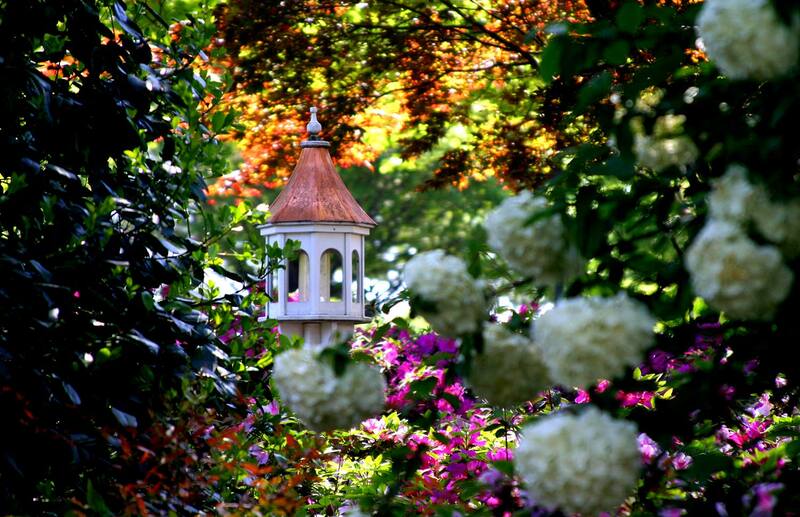 A: The Gardens are free and open to the public. 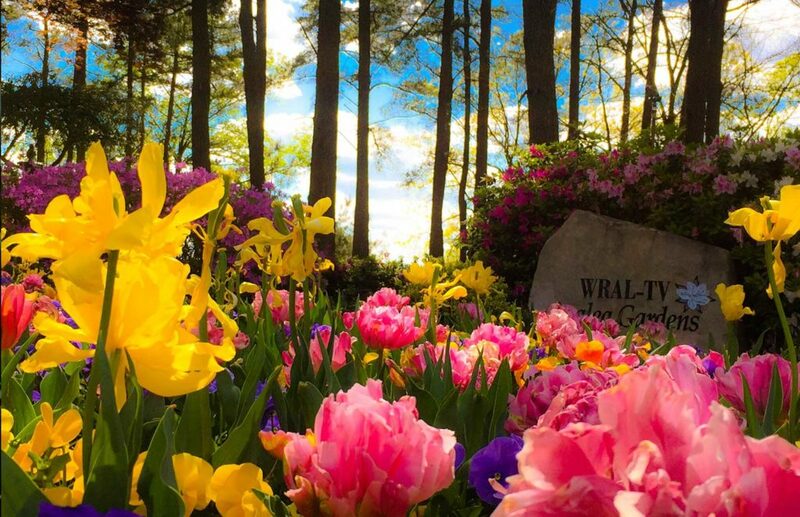 Q: When can I visit the WRAL Azalea Gardens? 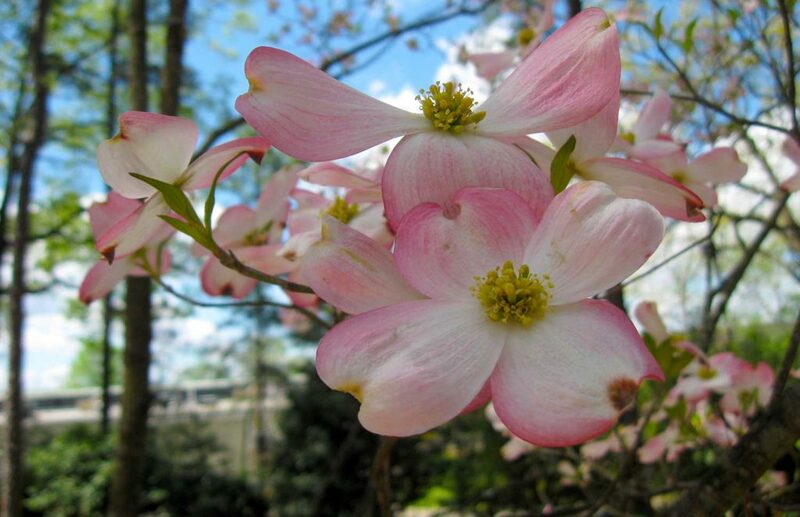 A: The Gardens are open year round from dawn until dusk. Q: Does my group need to make reservations to visit? A: No. 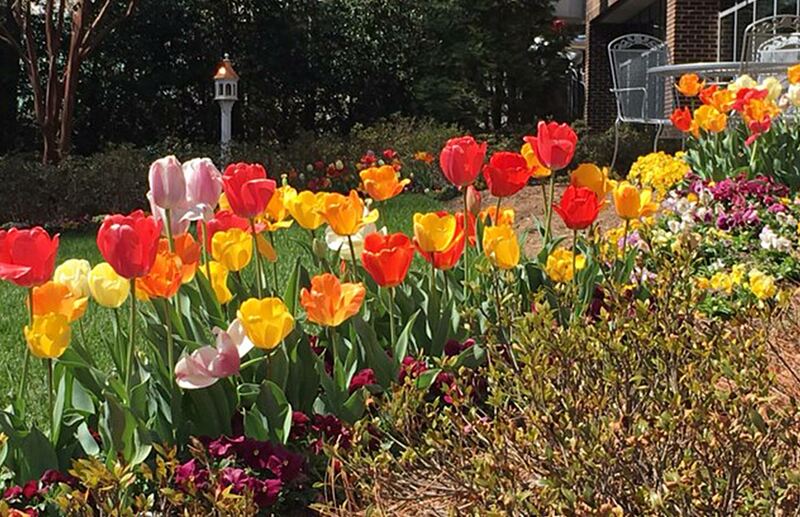 Feel free to stop by the Gardens anytime for a self-guided tour. Q: Do I need a reservation to take photographs? A: If you are interested in taking photographs in the Gardens, please feel free to do so anytime during daylight hours. Reservations are not required. 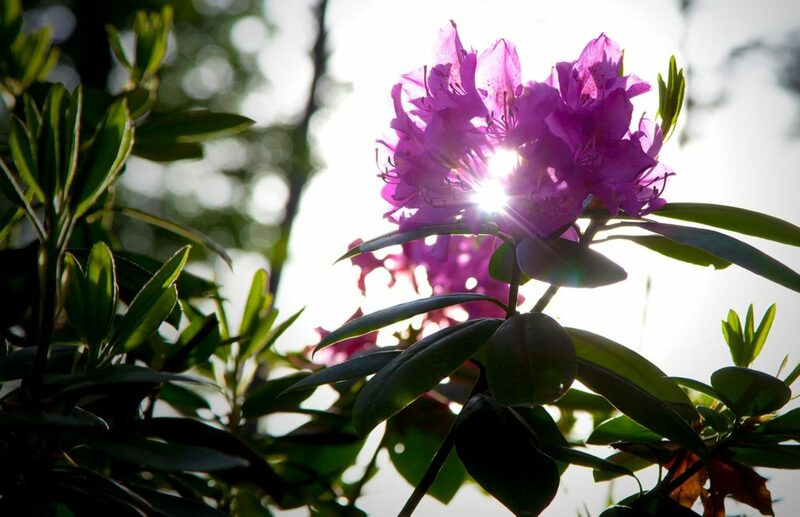 The Gardens have several beautiful areas where photographs can be taken. 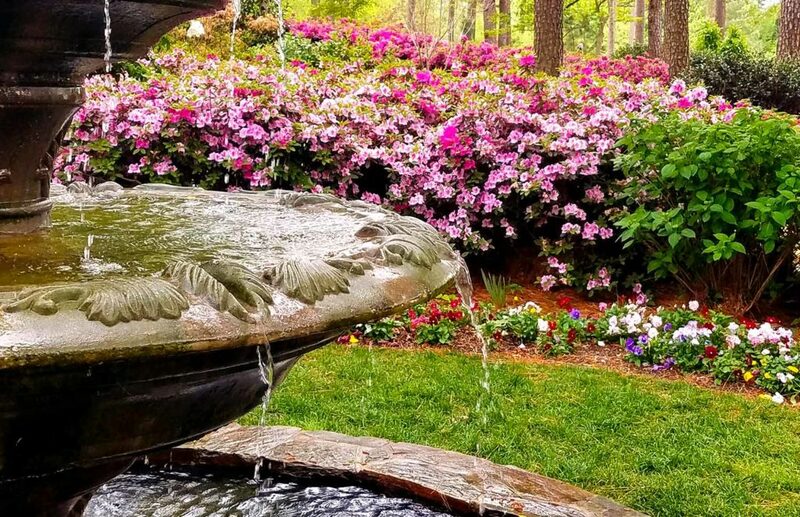 Since the Gardens are open to the public, it is important to respect others who may be strolling through the garden, enjoying a picnic on a garden bench or taking photographs in front of the fountain. 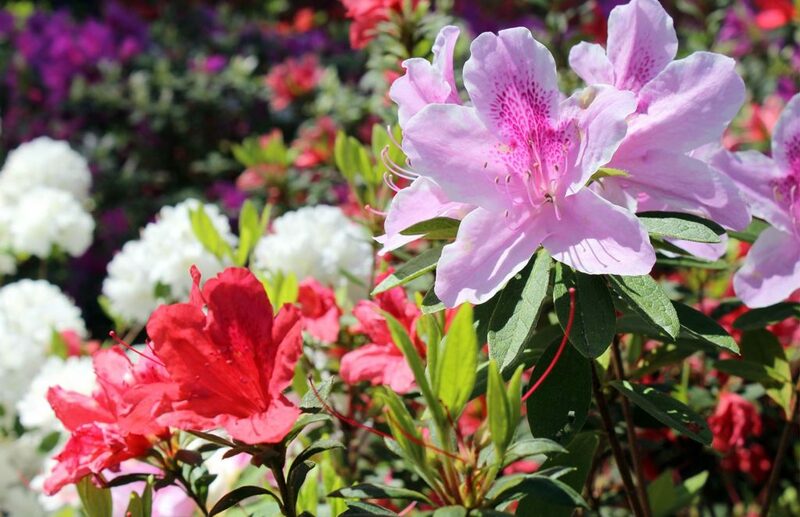 Thank you for your consideration and please enjoy your next visit to the WRAL Azalea Gardens! Q: Are food and beverage allowed? A: Feel free to bring a picnic basket with food and drink to enjoy at one of our benches or spread out on the grass. However, no grilling is allowed due to fire hazard concerns. Alcoholic beverages are prohibited as well. Please carry out whatever you bring in, including all trash. A: No. Because of the threat fire poses to the foliage in the Gardens, smoking is prohibited. 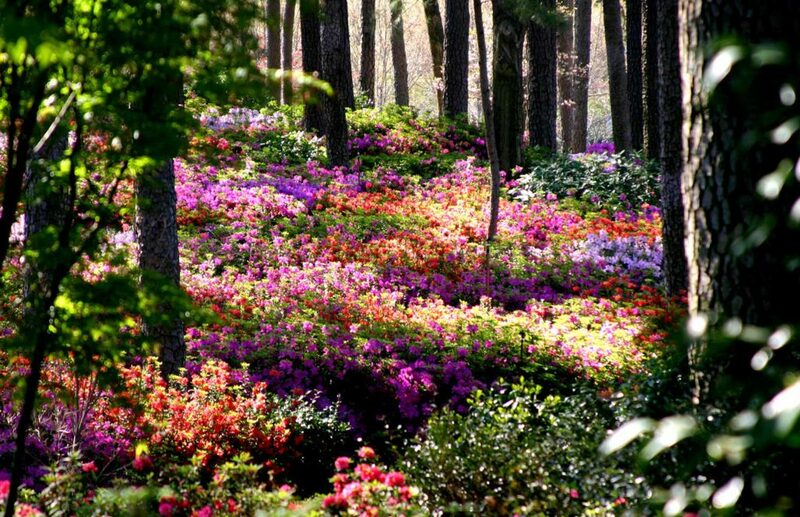 One small blaze could wipe out the entire garden. A: No. Due to insurance liability reasons we cannot allow pets. Q: How large are the grounds ? 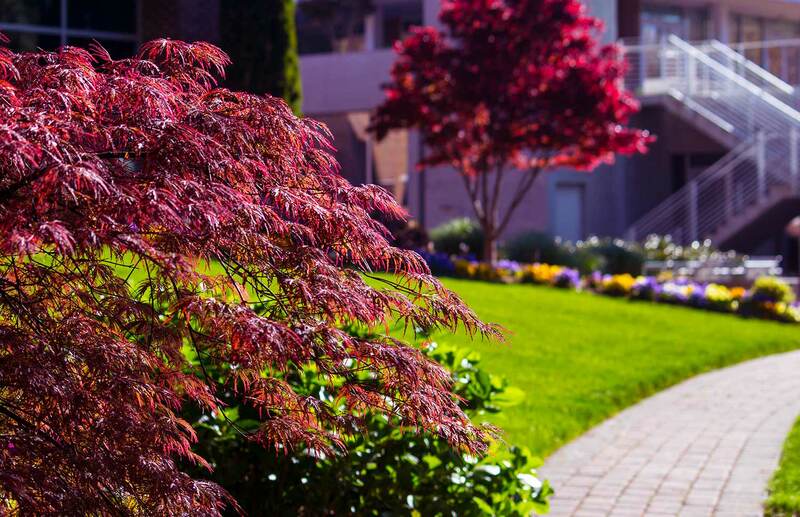 A: The total area of the grounds encompasses 5 acres. 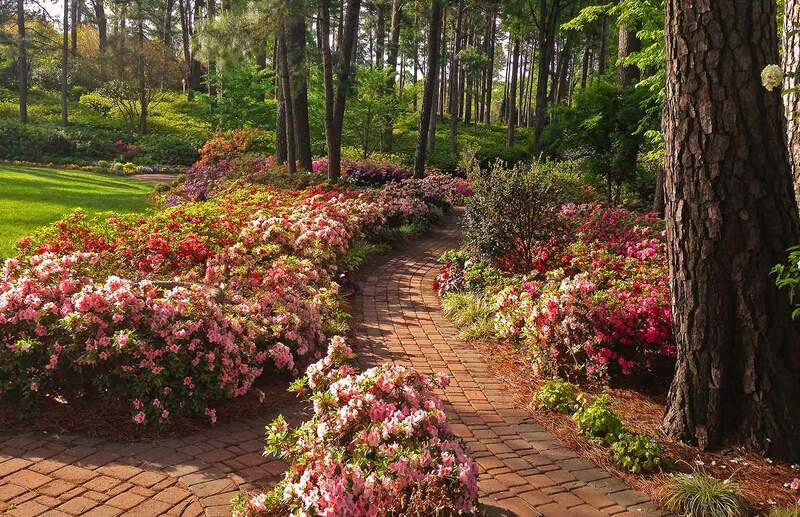 The WRAL Azalea Gardens by itself are a total of 1.5 acres. Q: Are there any rest areas? A: Yes. There are many benches available throughout the Gardens. The Gardens restroom is open spring through fall. 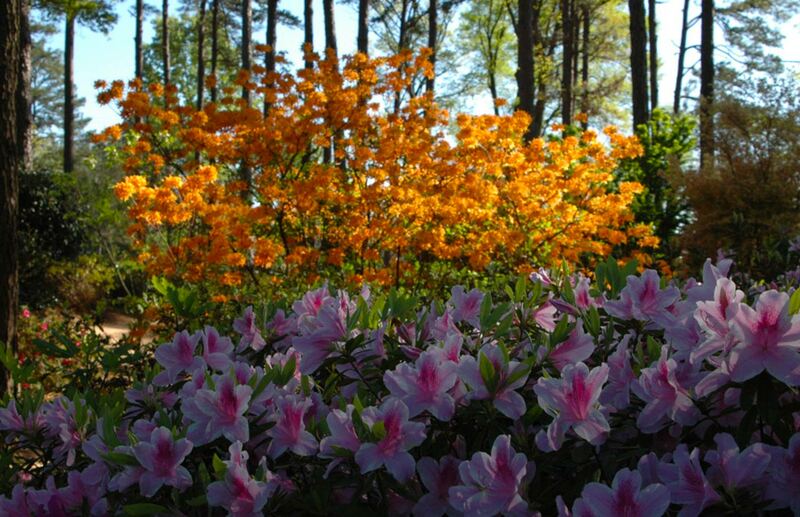 Q: What is the best time to visit the WRAL Azalea Gardens? 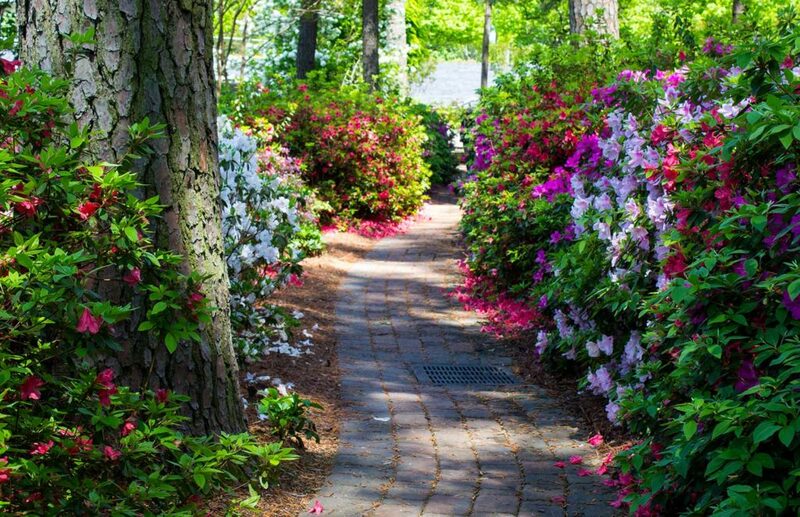 A: Spring and fall are the best times to see the azaleas in bloom, but we have many other flowers and plants in bloom during the summer as well. 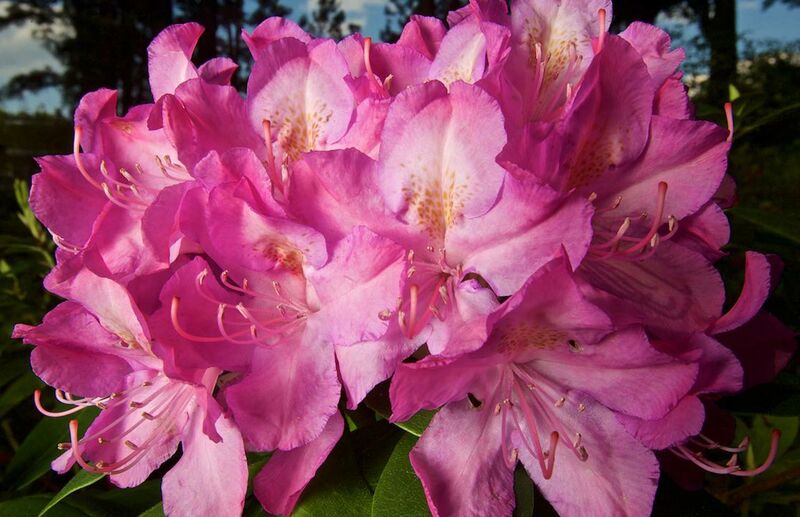 Q: How many varieties of azaleas are there? 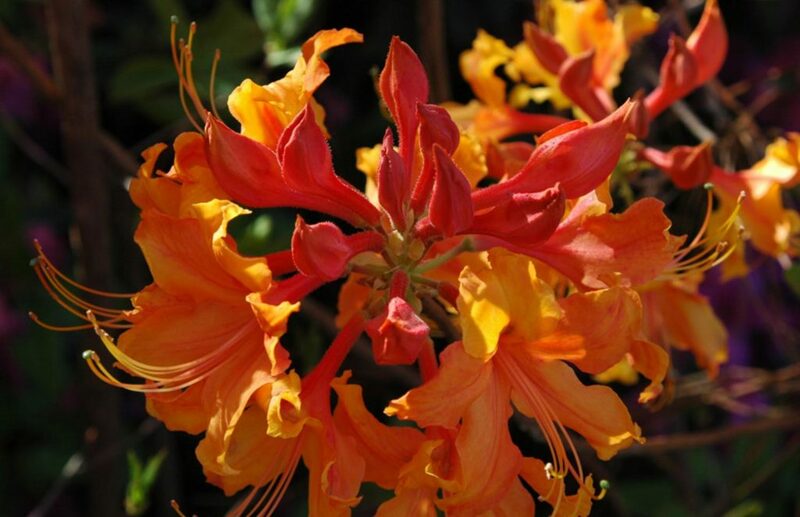 A: There are 60+ different varieties, including deciduous native and Encore azaleas. Q: Where can I park ? A: Free parking is available in the lot across from the Gardens. Copyright 2018 Capitol Broadcasting Company, Inc.